Google SEO has moved on so much over the past decade, it used to be all about keywords and backlinks, but Google’s ranking algorithm got smart and in 2018 SEO is so much more. 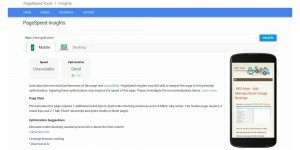 Hundreds of Google SEO ranking factors covering the old SEO factors like title tags, keywords, anchor text, and backlinks plus dozens of new factors like pagespeed, mobile responsiveness, and usability. 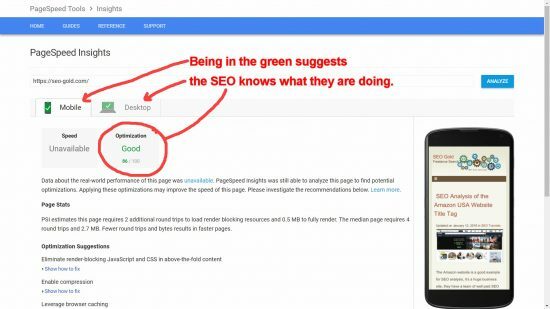 Google has even released a couple of free tools to help webmasters improve their sites: the PageSpeed Insights Tool and Lighthouse Audits Tool. One of the major SEO performance/usability issue are images, images tend to be the largest resources data/bandwidth wise loaded on a webpage. On this site for example the full screenshots (I tend to take a lot of screenshots) are around 1,900 pixels by 1,100 pixels (some are over 250KB in size AFTER image optimization). On some webpages there might be a dozen plus images and without an image performance SEO strategy that could mean visitors having to download several MBs of images on one webpage! 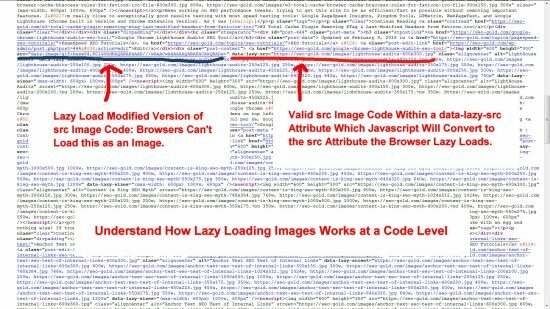 There’s multiple image performance strategies a webmaster can employ to improve the user experience related to images including lazy loading images. 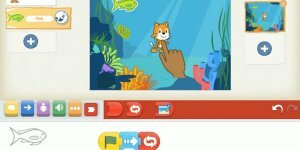 When a webpage loads in a browser like FireFox and Chrome, the browser by default will load ALL the content including the images below the fold: below the fold means the content you can’t see until the user scrolls the webpage. 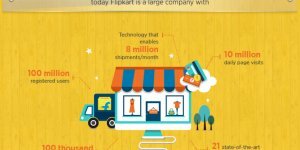 The screenshot above of this sites home page on a Desktop PC shows the above the fold content, it includes 4 images (the header image, one main content image and two ‘thumbnail size’ widget images) this content MUST load as quickly as possible (especially on mobile devices on slower connections) for a good user experience, any delays loading the above the fold content will annoy visitors and a percentage will leave! The below the fold content (what the user can’t see) isn’t as important and the images (around 15 below the fold images on this sites home page) in particular could be delayed (lazy loaded). If browsers were more advanced they’d only load the images the user needs as they need them (as they scroll) the below the fold images would be loaded lazily (loaded later): that’s NOT how FireFox/Chrome works in 2018. I have lazy loading enabled on this site, if you visit one of my articles with a lot of images like this one on performance testing tools with half a dozen quite long images you can see the lazy loading in action IF you scroll down the content quickly or if you have a slow connection. As the webpage scrolls and an image comes into view there’s a short period of time where the image is missing (blank white space). Tends to be barely noticeable for a normal visitor who is normally scrolling through the content, but if you scroll fast all the images try to load at once and the delay is more noticeable. Managed to take a screenshot of the image lazy loading delay by using a Google Chrome Screenshot Extension which takes a full webpage screenshot by including all the above the fold AND below the fold content (it scrolls really fast). Click the image above to gain access to the full size screenshot. The blank areas where images should be is where the browser hasn’t had enough time to load the lazy loaded images. The original screenshot is huge 1,300px by 13,000px and before uploading via the WordPress media uploader and the image optimization plugin decreased it’s size it was 1.3MB in size! This is where having an image performance SEO strategy is important. Because of this huge size for one image it wouldn’t make sense to load it in full within this article (1.3MBs and 13,000px in height doesn’t work), so I chose a smaller version that’s 550px by 5,500px which is created by my WordPress SEO theme. This image is 350KB in size, still on the large size and at 5,500px in height it’s still too tall. So cropped a small part of the full 1,300px by 13,000px to only show one of the delayed lazy load images and resized it to 550px by 400px (15KB in size: manually uploaded this image using FTP, but could have used the WordPress media uploader). Now we have a reasonable size image (550px by 400px) which you can see above. If you click the above image it takes you to a webpage (a WordPress Attachment Page) loading the 550px by 5,500px image and if you click that image the full 1,300px by 13,000px image loads. 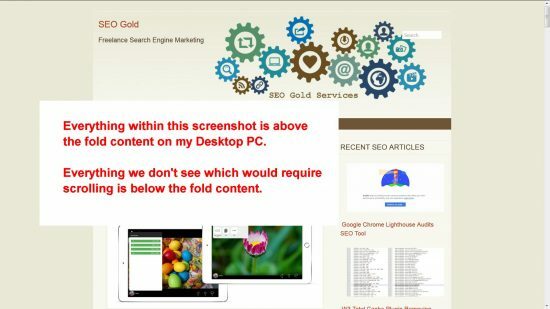 The SEO performance strategy was to reduce the amount of data loaded on this webpage while still allowing the visitor to see the full screenshot. Lazy loading images also saves the visitor money, if they are on a mobile contract which measures data usage, lazy loading will decrease data usage: if a user doesn’t scroll all the way to the bottom of the webpage they won’t download all the images. The benefit to the webmaster is users on a slow connection are less likely to leave the site early because of a slow/bad connection. Also bandwidth usage is smoothed out, rather than downloading the entire webpage and all it’s images instantly, it could take a few minutes or longer (or never) for a user to scroll to the bottom of a webpage with a dozen images: reduces server bottlenecks. It’s a simple concept in practice, rename the scr attribute to something a browser won’t by default recognize as an image: on my site the “scr” attribute is renamed “data-lazy-src”. You can see in the screenshot above (HTML source code of this sites home page) the modified code. The end result is the images aren’t downloaded/loaded by the browser until the relevant part of the webpage is within the viewport. As mentioned above I use lazy loading on this site. This site is powered by WordPress and there’s multiple WordPress plugins for lazy loading images. Even the minified version of Jquery on a 1Mbps connection could add 250ms to the load time, might not sound a lot, but Amazon did a study which found for every 100ms delay it cost them 1% in sales! That means if Amazon adds a feature which requires Jquery it has to be worth a loss of 2% to 3% in sales! 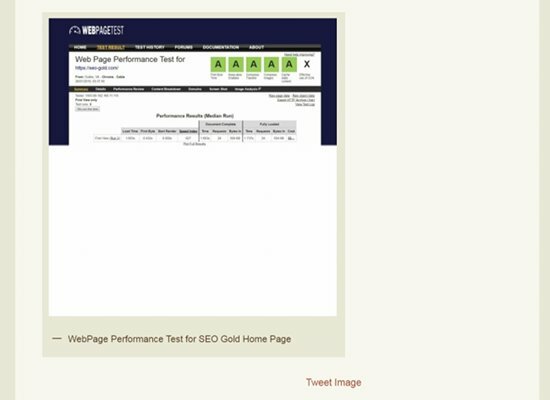 The home page is 11MBs of data requiring 111 requests, to put this into perspective the SEO Gold’s home page requires 250KB of data including 19 images requiring 11 requests! These are just the WordPress core Jquery js files and they total over 140KB. Plus there’s a bunch of CSS files as well! Anyway, back to lazy load image WordPress plugins. Using Jquery to lazy load images is like using an ambulance to fix a grazed knee when all that’s needed is a small plaster. I develop my own WordPress SEO theme so not sure how Lazy Load by WP Rocket works with other themes. 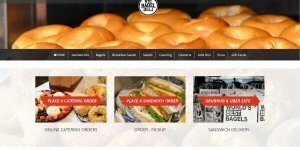 I found it only lazy loaded images on Single Posts (a webpage like this one) and Static Pages, didn’t work on images loaded on archive sections (Categories for example) of the site. The problem was to add images to Categories etc… where an excerpt was loaded it tends to be outside the main content, it’s usually a customized theme feature because by default WordPress excerpts don’t include images. I created a fix, modified my custom Category (archive) images etc… to use the same filters as the Post Thumbnail: Lazy Load by WP Rocket adds a Post Thumbnail filter, so by running your custom function through the Post Thumbnail filters the lazy loading filters are used on your function. This is my theme code in full (this won’t work on your site, it uses other functions like “ipq_get_theme_image()” and “st_auto_thumb_wid_ors()” you won’t have). // If Rocket LazyLoad not active, check there's an image. Without this your site will crash when the plugin is deactivated. 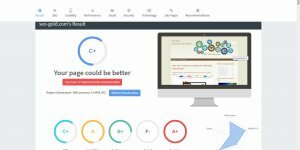 Do lasy load images index in google in 2018? Thanks for sharing great detail post. 1) I have query do lazy load images index in search engine like google? 2) or only by using specific method of lazy load, images index in search engine? One of my newest sites S4S Coding (couple of months old) has always had it’s images Lazy Loaded. Every image loaded is lazy loaded, there’s no other way for Google to find them, which means if images are indexed in Google it’s ‘through’ the lazy load code. And then click the Images tab shows all images indexed under the domain. You can see there’s well over 150 images indexed. 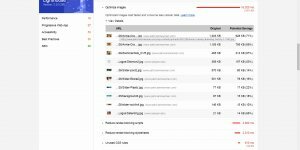 Google’s Lighthouse audit tests Lazy Loading of Images and Videos, Google wants us to lazy load. 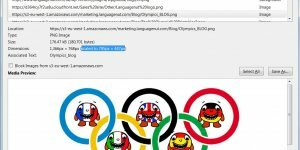 As long as the lazy load technique is implemented correctly, Google can index the images fine.